Jordan: The Comeback is the fifth studio album by musically and lyrically eloquent northeasterners Prefab Sprout. A nominal concept album (Rolling Stone summed it up as a pop symphony about “God, love and Elvis”), its standout passage, for me, has always been its four-minute title track, in which the King laments from some rhinestone-studded version of heaven. … Then I’m comin’ back! Only Paddy McAloon would have the chutzpah and chops to imagine Elvis considering a move back to Memphis from the top of a stairway to heaven. But Elvis is so big, so all-powerful, so iconic in the Mount Rushmore sense of the exhausted adjective, how else do you draw him out of the desert of pagan idolatry? Certainly, how do you pick one of the countless prêt-à-chanter tunes delivered to him over his quarter-century of pelvis-swiveling, gallery-playing and myth-salesmanship? 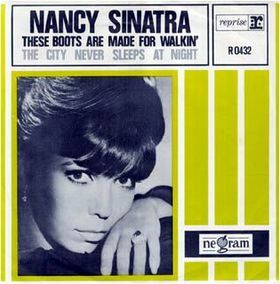 The 1969 LP From Elvis in Memphis, recorded there to exploit the free pass bestowed by the fabulously restorative NBC special from Burbank, Singer Presents … Elvis (colloquially known as the ’68 Comeback Special, whose soundtrack went Top 10), marked the true return of the King, having been in the desert for at least seven years, making movies with diminishing artistic returns, and not playing live. The books state that Elvis laid down Suspicious Minds between 4am and 7am in a night-shift pre-breakfast rush on 23 January, ’69, in eight takes. It was overdubbed in the not-insignificant town of Las Vegas that August and released as a single forthwith. Eleven backing singers whip this problem-page teaser into a full-on melodrama, while trumpets and trombones, arranged by Glenn Spreen, pump up the volume. It’s an epic. Chrisman stick-shifts from rat-tat-tat-tat to more skittish hi-hat, and back again. He’s on a roll. But this is expected from first-rate sessioneers. Nothing out of the ordinary there, it’s what old 45s did, for reasons practical and commercial. But don’t go away, that’s not all, folks. After 15 seconds, as the houselights are turned back on … it fades back in! Such a tease. Is it intended to conjure the band leaving the stage and coming back on for an encore? It’s certainly pure showbiz, albeit effected by a lever on the desk It legendarily fades at around 3.35 and then after 15 seconds fades back in, a sabotage decision made by producer Felton Jarvis that oughtn’t even work but, like Lou Reed struggling to scan “all the coloured girls sang” in Walk on the Wild Side and Joni Mitchell squealing with tickled delight in Big Yellow Taxi, it just does. Now that’s what I call a comeback. I cannot tell a lie. I saw the split-level Brian Wilson biopic Love & Mercy and it inspired me to reinvest. In the film, directed by Bill Polhad, Wilson is deftly and affectionately dramatised in studio-tanned situ amid all the oneupmanship, invention, pretention, fastidiousness, excitation, pep and beauty of the making of Pet Sounds, on which this stellar “pocket symphony” isn’t found. 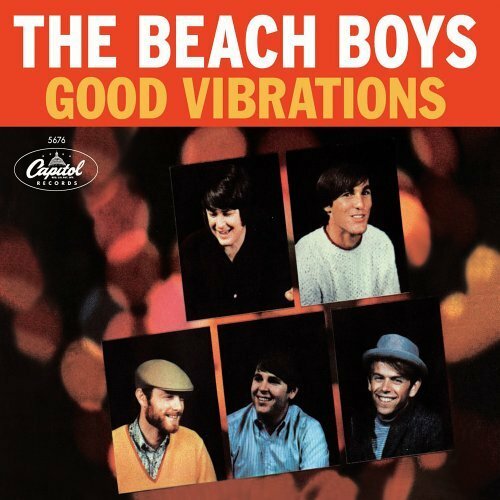 Good Vibrations is, in that respect, like the subsequent Strawberry Fields by that other band: a standalone single that exists in permanent danger of eclipsing the standalone LP constructed around it, but upon which it does not appear. It’s so good, you always forget and assume it’s on Pet Sounds. But it isn’t. (Where would it go? ) It came out as a single six months after the album, and wasn’t rehomed until September the following year, on Smiley Smile. It’s essentially a stray. It’s tempting to attempt to describe the way this piece unfolds. (To call it a “song” seems impertinent.) But there’s too much going on at so many levels – including molecular – it would be a fruitless exercise without a degree in musicology. Indeed, musicologists seem to lay down their textbooks and gawp in non-academic awe at Good Vibrations, vouchsafing that the usual rules don’t apply. But it’s fine, I think, to pick out its greatest bits. The luminescent Hammond line that bounces the song into life. Those spare, almost counterintuitive slaps on the snare, delivered by Hal Blaine of the Wrecking Crew, a platoon of “first call” sessioneers every bit as legendary as the Funk Brothers or the MGs to my ears. The spooky theremin, which jellies in during the chorus, over the boot-deep tones of Mike Love, subsequently pedestalled by Carl and Brian Wilson’s harmonies. These ascending Filo layers turn even the first chorus into a crescendo and we haven’t hit the minute mark yet. And we’re back in the room. With locomotive cello this time, perhaps the song’s greatest contribution to popular music, rewarded with a key role in the fadeout. I’m not the world’s most qualified Beach Boys professor – I didn’t even own Pet Sounds until the early 90s – but subsequent immersions tells me that when they were good, they were very, very good, and there’s little to touch the period between Brian’s panic attack in December 1964 and when Dennis met Manson in spring 1968. Although on certain wistful occasions I prefer the instrumental Let’s Go Away For A While or the harpsichord-assisted autobiography I Just Wasn’t Made For These Times, in a pointless throwdown between Good Vibrations and God Only Knows, the former edges it for sheer operational bravado. My musical education continues. I hope it always will. But if you drew up a graph, with Musical Knowledge Gleaned on one axis, and Time on the other, it would start twitching upwards in a meaningful way at around 1969-70, when, aged four going on five, I really started to take notice of songs on the radio: Mungo Jerry’s In The Summertime, Gimme Dat Ding by the Pipkins, Love Grows Where My Rosemary Goes by Edison Lighthouse, My Sweet Lord, Wandrin’ Star, Sugar Sugar by the Archies, Hugo Montenegro’s The Good, The Bad and The Ugly. I have even earlier memories of Mary Hopkin’s Those Were The Days from 1968. What you think I’m going to say next is that Wichita Lineman got into my system around this time. It didn’t. At least, I wasn’t aware of it doing so, even though it was a hit on both sides of the Atlantic, the one that had Wichita in it, and the other one. 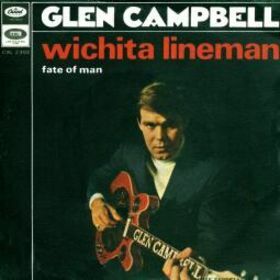 Wichita Lineman didn’t enter my internal playlist until the mid-90s, when I was working at Q magazine. Indeed, if you really did map that graph of my musical education, the years 1993-97 would see a sharp rise, as the experience behind the desk as features editor and then editor broadened my mind and my sense of history like no other office I’ve worked in, and I remain grateful. Staff who were ahead of me included the likes of Bill Prince, John Bauldie, Adrian Deevoy, Paul Du Noyer and John Aizlewood – if not older in age, wiser in miles on the clock – and I used these clever, seasoned gentlemen as my yardsticks, and gladly took steers from any of them. Although my arrival at Q coincided with a changing of the cultural guard and the Britpop explosion – which I think explained part of my indie-shorted usefulness to the august rock monthly – it was still a safe house for classic rock and pop, and wore its anti-ageism as a badge of honour. As such, I threw myself backwards into history and topped up my degree. I remember Bill Prince interviewing Jimmy Webb – I’m guessing it was around the time of his Ten Easy Pieces LP – and even the act of sub-editing the copy, and providing a sidebar, blurb and headline matured my understanding of a man whom I only really knew for writing Up, Up And Away (another hit that must have seeped into my consciousness in my first few years of sentience). Result: hello, Wichita Lineman! It wasn’t exactly like hearing a song that was almost as old as me for the first time. It is, after all, a certified classic, and will have been playing somewhere in the background for most of my life. But in that instant of seeking it out and making sense of its creation, everything fell into place. (I’d been in a postgraduate comedy production in the late 80s where I played a simple farmboy from Wichita, but the connection eluded me even then.) Webb was driving down a long, straight road in his native Oklahoma and saw a lineman up a telegraph pole and was struck by the loneliness of the job. The lyric flowed from there. It seems such an original observation and setting, perhaps it’s little wonder the song reverberates still. It’s a song that feels like a story and yet, broken down, the lyric is quite spare. (Unlike this ramblin’ essay.) But what imagery it fixes in your mind’s eye. There he is, the lineman “for the county” (not even terminology we use in this country, or county, thus already romantic), and he “drives the main road, searchin’ in the sun for another overload.” This is overall-wearing detail about a work detail. But how soon its high-viz practicality is punctured by sentiment: “I hear you singin’ in the wire.” Is it as creepy as it first seems? Surely he’s the flower-power prototype for Mark E Smith’s Stasi-like “telephone thing, listenin’ in.” And yet, the Wichita Lineman who’s “still on the line” and “can hear you through the whine” is clearly lovestruck. And it’s lonely up that pole. The weather’s looking rotten, too. It may not look like rain, but if it snows “that stretch down South won’t ever stand the strain.” But the strain isn’t in a length of telegraph wire, no more than the “overload” is about his job description. It’s the lineman himself who’s close to collapse. But it’s not a poem, and Webb’s not just a wordsmith. He’s not the singer either. Glen Campbell, whom I associated in childhood with True Grit, which I’d seen on the television, brings the song to heartbroken life and a country authenticity to the sound pictures. 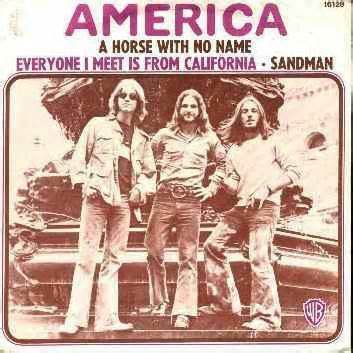 The ex-session man – a member of LA’s amorphous Wrecking Crew – and touring Beach Boy was more than just a hick from Arkansas with a guitar on his back. He wrote, and he joined bands, and he appeared on the TV, and he had his first big hit with a pacifist anthem by Buffy Saint-Marie even though he thought draft-dodgers should be hung, possibly from a telegraph wire. His vocal is coffee-smooth – perhaps sipped from a flask – and conveys the plaintive in our lineman’s lament for lost love in such a sincere and moving way you could never see him as a telegraphic stalker. He means it, man. And the held note at the end of “still on the liiiiiiiiine” seems to echo around the wide open plains, as if the shot is panning back, wider and wider, until he’s a speck on a stick. The string arrangement, by Campbell talisman and fellow Wrecking Crewer Al De Lory, does some daring wire work, too. After a descending guitar twang and patted intro beat, there they swirl, filling the Kansas sky with sun, while violins and a keyboard (played by Webb?) get to work on the pre-digital approximation of a telegraph’s bleeps and whines. Invention permeates. It’s a downhome, nice-and-simple, over-easy slice of life which finds symbolism in the horny hands of the working man and creates something almost space-age out of its allotted instruments. And it’s sung by Campbell like it matters. I read on Wikipedia that my friend Stuart Maconie called it the “greatest pop song ever composed” in one of his books, which I don’t have to hand, and I think his tribute is contained in the word “composed”. Wichita Lineman doesn’t feel written, or knocked out to order, it’s a novella that’s been inspired by real life and if it’s a little bit country, it feels more local than that.